Springer is a major publisher of academic and professional books and series. The e books are suitable for research, study, and course projects, and can be assigned as textbooks. With the purchase of this Collection, UCF will gain perpetual rights and online access to Springer books published between 2005 and 2009 comprised of over 16,000 volumes. All UCF affiliated users will have access from 1997 to 2009 to all of Springer’s major book series, including the well known Lecture Notes Series. The agreement between UCF and Springer will allow for any fair use of the content for educational purposes, including embedding the content in Webcourses. Access would be available to all UCF students and employees, with off campus access enabled by EZproxy. Because UCF will own the content, the Collection will benefit not only the current 53,537 students and 1,950 faculty members , but will meet the instructional and research needs of the UCF community into the future. One hundred percent of UCF students and faculty will have access to and will be served by the purchase of the Complete Springer eBook Collection. The table below shows the Subject Collections included in the purchase, the number of titles in each Collection, and the Undergraduate and Graduate enrollment in selected UCF programs. for faculty research and relevant material for course assignments. Springer is recognized as a leading academic publisher, producing scholarly books and book series relevant and appropriate to university student course work and faculty research. The content will directly support student learning by providing material for course papers, projects, and study. Sample titles , from the Collection hint at the breadth and depth of the content that will become available to UCF. Many of the titles are suitable as textbooks (examples above are marked with a square). It is feasible for faculty to replace or supplement their main textbooks with Springer e-books. The chapters can be embedded in online courses and there is no limit on the number of people who can open Springer e-books at once. Students that are content to use the e-books would have no need to buy a copy of the text. Students that prefer print may order a rapid-print copy of any of the titles which will be bound and shipped to their address for $25. use as textbooks and for course readings. The Libraries will offer informational materials to distribute during various events, such as the Faculty Development Conferences, and will feature information about the Collection in newsletters and exhibits. And librarians will instruct students about Springer e-books during Information Literacy sessions. The Libraries will measure the success of the Complete Springer eBook Collection through usage data, surveys, and link analysis. Springer will deliver semi-annual usage reports that track which titles were used and how many chapters were downloaded. In addition, Springer will create charts to reveal trends in usage patterns by discipline. The Libraries will survey and interview faculty about their use of this Collection and determine how many e-books and chapters are assigned as course readings, as well as the faculty’s satisfaction with the content. The UCF Libraries will gather statistics regarding the use of Springer e-books in Webcourses from Course Development & Web Services. should start high and remain high, and 70% or more of e-book Collection users should report that they are satisfied or very satisfied with the content and system. 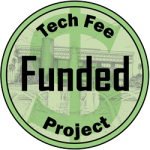 In terms of Technology Fee funding, the project’s life is one year. The requested funds will cover the entire cost of the Complete Springer eBook Collection 2005-2009. The UCF Libraries will also begin an annual purchase of new content beginning with access to Springer eBooks published in 2010 with the funds coming from a reallocation of the existing library materials budget. The annual fee for current content beginning with 2010 will be approximately $150,299 with a cap of no more than a 5% increase per year. There are no fees for maintaining access to the Collection and UCF will own the content. Once the Collection is purchased, UCF Libraries will catalog the e-books, and maintain access and links with existing staffing.